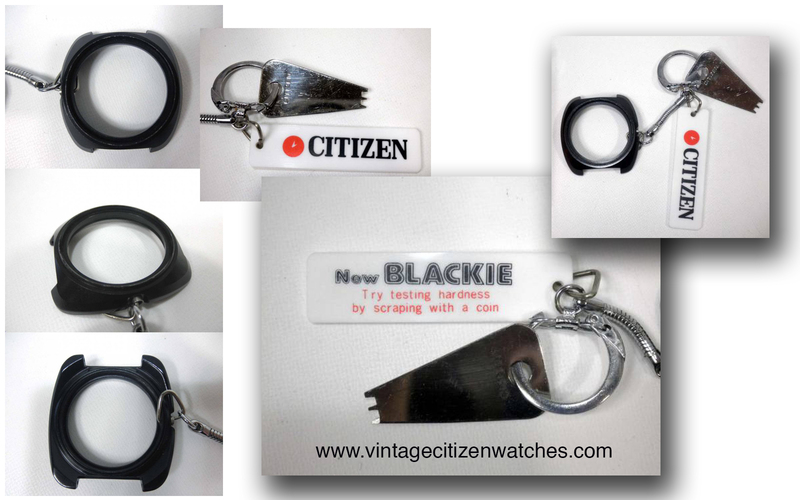 Citizen was always innovative and was never afraid of trying new technologies. 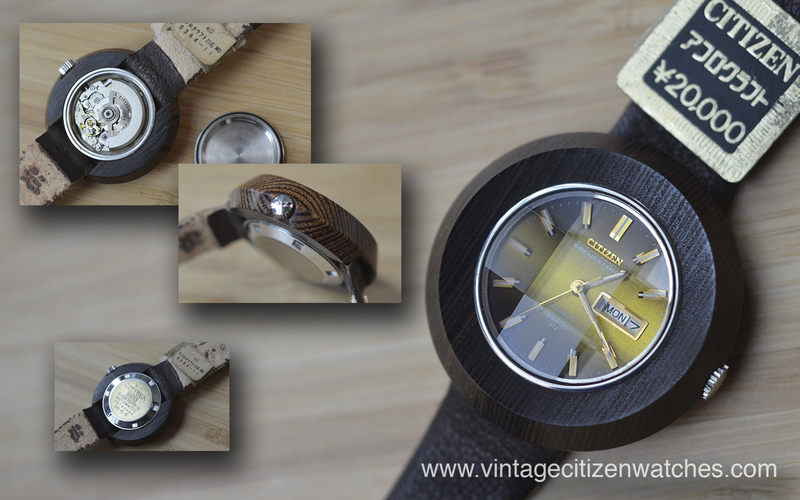 So, in 1970 they started experimenting black coating their watches. 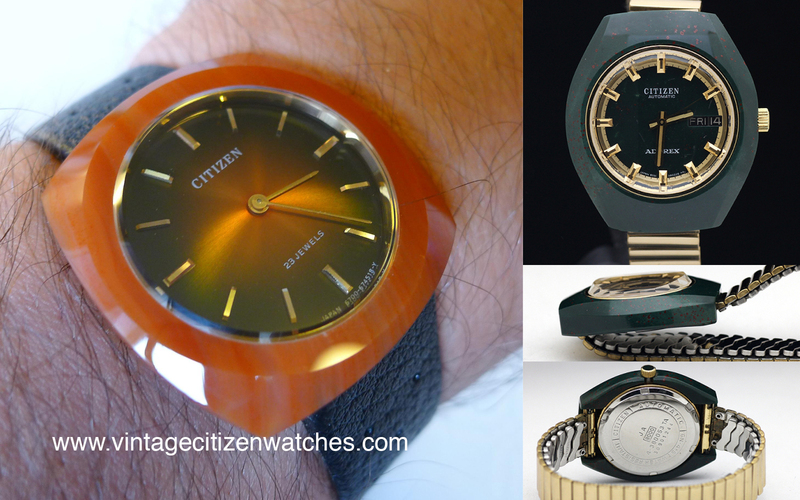 They also coated their watches in a similar dark color, something more like a dark olive green. 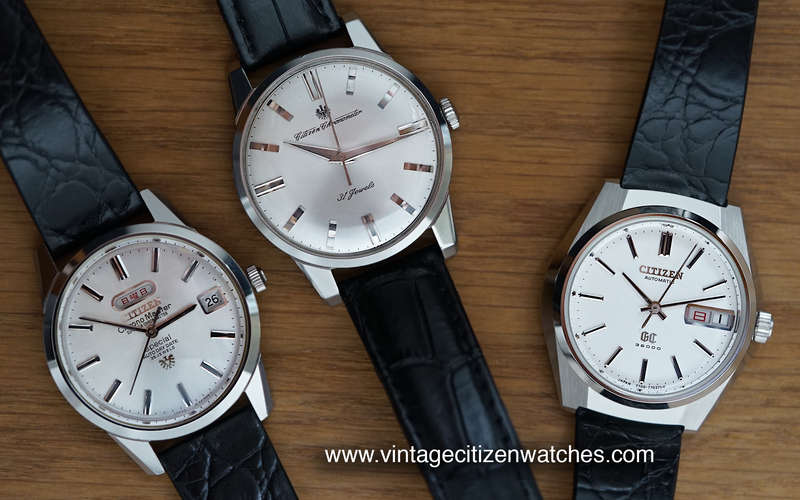 The reason for coating their watches was the same reason manufacturers are doing it today: it looks really good. They also tried to find ways to protect the case and bracelet material underneath. 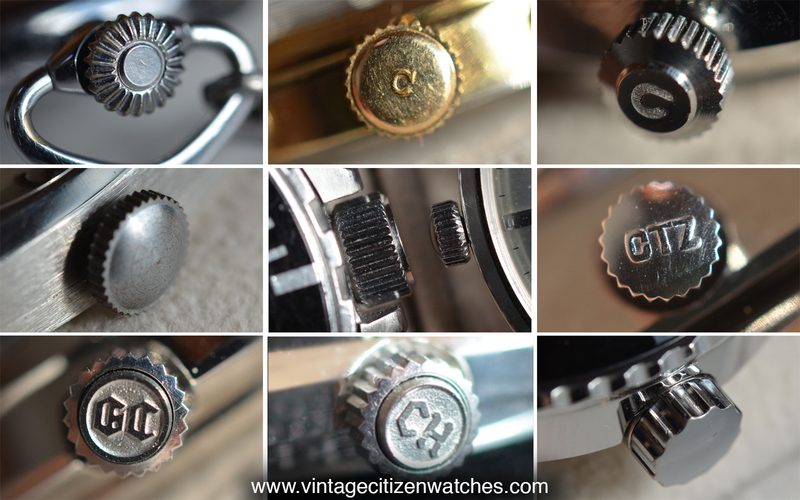 Most of these coated watches were made of a very light alloy, that is not really scratch resistant so the coating comes as a great addition. In order for the public to buy them, with great confidence, Citizen promoted this “harder than steel” surface with some samples, where you can get a treated case and a scraping instrument attached to it. You were kindly advice to try it yourself. Scratch it! 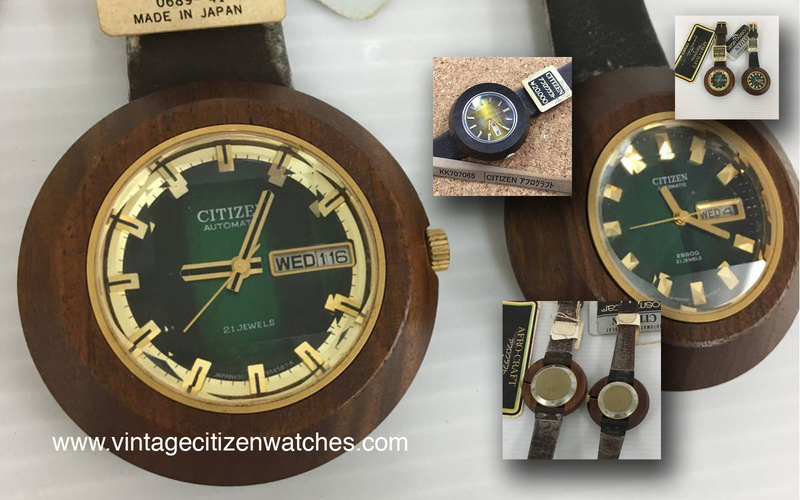 As a side note (after seeing a lot of used Citizen coated watches I can tell you that only the NOS and mint ones have really passed the test of time and most of the used ones are losing their coating on the lugs or sharp edges). 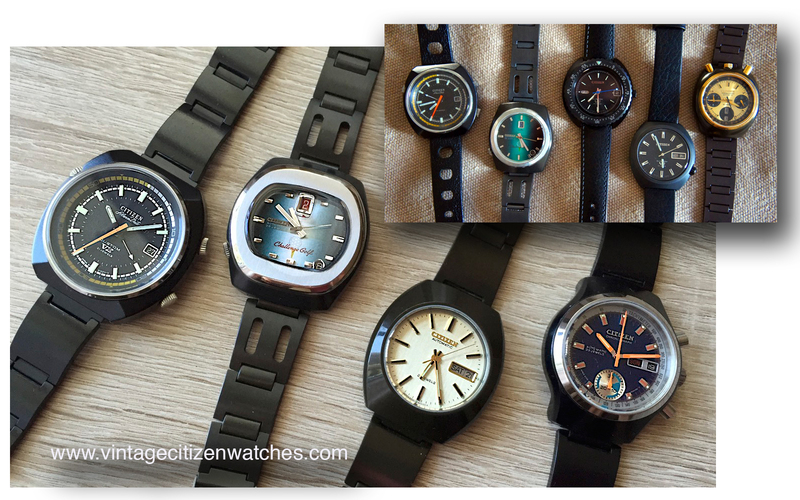 Here are a few of my NOS coated watches, black and dark green, side by side, and in the smaller picture is a part of Mikko’s collection. Thank you Mikko! Awesome collection, like always your contribution is greatly appreciated! Thank you Citizen for giving us the chance to experience this material too. I love it! Read about one of the very first Blackies HERE.